Disney Movie Club was having trouble scaling up membership enrollments at the effective cost-per-acquisition target with the Facebook audience in the Canadian market. They had colorful creative and a great starting offer, but limited conversion volume on the Facebook Ads platform. Using lookalike audiences created from a massive list of subscribers from the Canadian market but more importantly the larger US market, we were able to target those Canadian citizens with similar online behavior that were most likely to take advantage of the offer. We created many different targeting groups in order to broaden the overall reach and maximize results at significantly higher monthly budget levels. We were able to show consistent CPA measures even as campaign spend ramped up to 3x original monthly spend. For example, the Facebook campaign resulted in 64% more conversions in January than in November with only a marginal bump in the Facebook CPA. Our lookalike audiences, tested at various scales, allowed us to find the perfect targeting balance between reach and specificity. Users responded in large amounts to the creative shown to them as people similar to current subscribers — particularly video advertising. 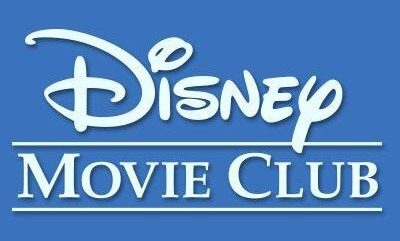 A division of Buena Vista Home Entertainment offering Disney, Pixar, Marvel and other Disney-related movie titles including recent bestsellers to beloved, heart-warming animated classics to action-packed Marvel for all ages from preschoolers to adults at discounted prices when you join DMC. There was limited enrollment growth and high acquisition costs due to fierce competition from retailers and affiliates that yielded inefficient CPAs for the client’s paid search marketing efforts. Implementing inter-Disney keyword bidding guidelines and affiliate marketing brand keyword bidding restrictions alleviated the problems with CPA efficiency. Identified best performing keywords and restructured search campaigns using a hybrid branding and direct response approach to significantly increase volume while decreasing acquisition costs. 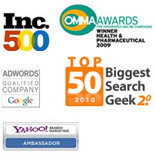 Grew and expanded into new search engines that were under-performing or weren’t utilized. Tested into new channels and ad types within the search engines including the Google Display Network, Gmail Sponsored Promotions and Yahoo native ads to drive significantly more enrollments. Overall conversions with the search engine campaigns increased by 71% from the first full year of launch with total CPA down 3%. Strictly paid search only jumped by 142% with CPA efficiency dropping by 41%. Other channels within the search engine generated 15% of the total search engine enrollments this past year from less than 0.50% before Ionic took over.